Grade Level: 2-8 DATE: Registration Deadline: December 1st by Noon! 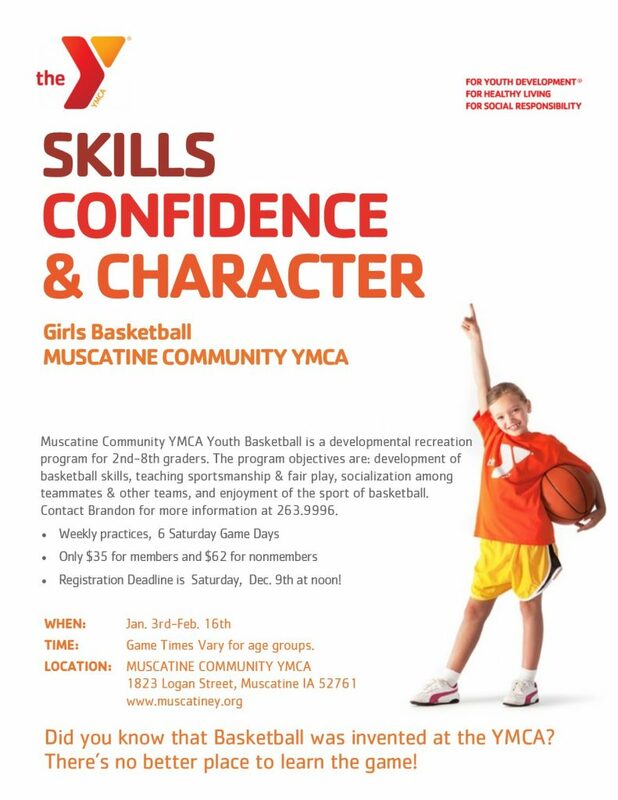 Description: Muscatine Community YMCA Youth Basketball is a developmental recreation program for 2nd-8th graders. The program objectives are: development of basketball skills, teaching sportsmanship & fair play, socialization among teammates & other teams, and enjoyment of the sport of basketball. Contact Brandon for more information at 263.9996. *Registration Deadline is Dec. 1st at noon!